Your well-being is our priority. After all, you’re on holiday and you wish to make the most of it. We’d like to offer you advantages that you will not find anywhere else. That is why we have improved the feel-good features of our house: Look forward to our new, spacious spa area. As your wellness hotel in Maranza, we will help you relax and rejuvenate your body and your mind with a holistic approach. The inviting ambience of the new Stuben Sauna at the Hotel Schmiedhof is very different from any other sauna. The centuries-old wood panelling gives the spacious relaxation area the appeal of a traditional farmhouse. As you enter, you feel an atmosphere of total relaxation. The alpine brick stove and a comfortable seating corner create the ambience of a cosy lounge. Fresh spring water from our mountains and quality teas offer plenty of refreshment. With the spicy scent of fresh mountain hay, you literally inhale the power of the mountains. 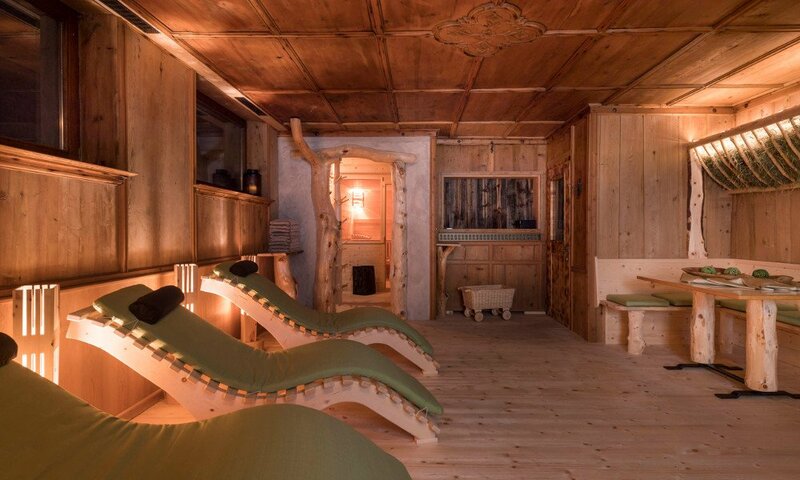 Comfortable, cushioned loungers made of spruce wood offer pleasant moments of relaxation after the sauna session. Cuddle up in our fluffy bathrobes and sauna towels and enjoy pure indulgence! 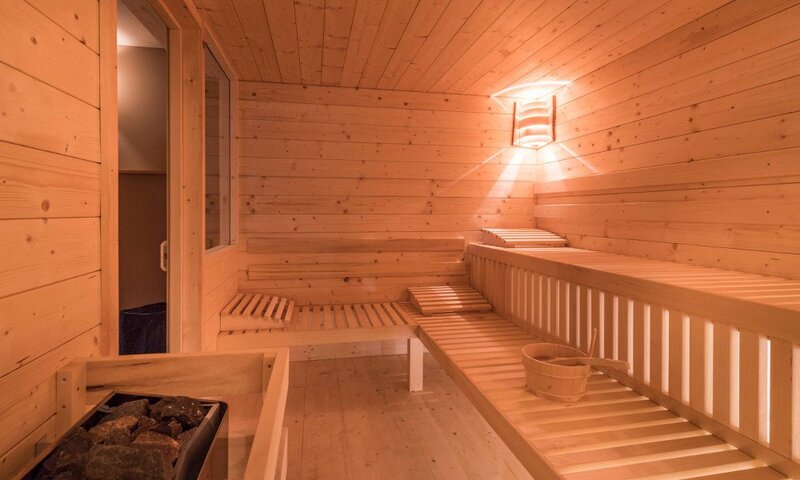 In the soothing warmth of the spacious and bright Finnish sauna you may wonderfully relax after an active day in the nature. The sauna offers space for up to eight people. Infusions with aromatic essences from local mountain herbs stimulate your circulation, nurture your skin and improve your breathing. 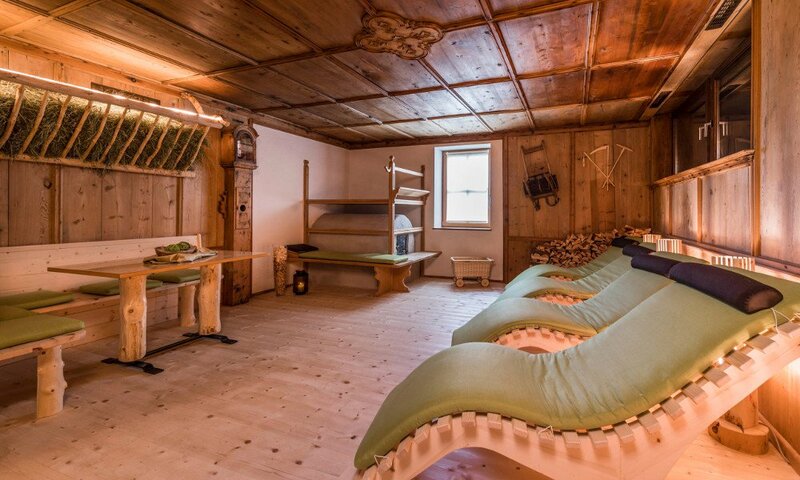 The cosy ambience with natural materials from the alpine home tradition as well as a harmonious colour scheme and lighting guide turn the Stuben Sauna into a holiday highlight at the Hotel Schmiedhof. 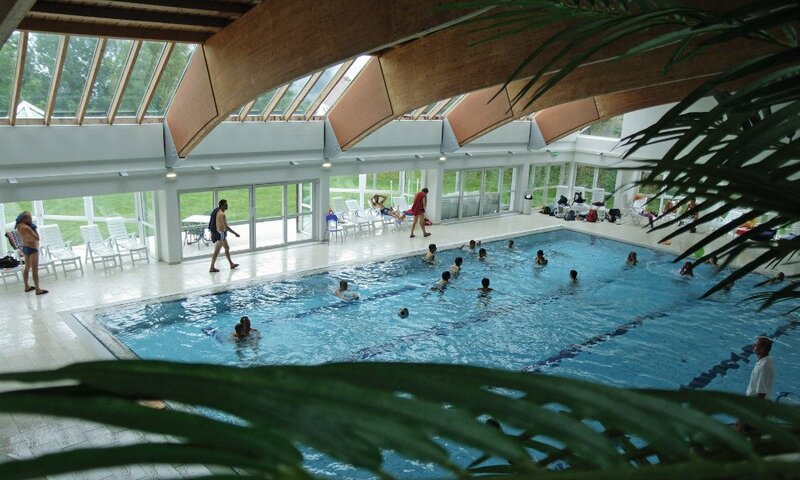 The family-friendly adventure pool “Alpinpool” is only a few kilometres away from the hotel. As a guest of the Hotel Schmiedhof, you are entitled to a discount. Especially in the summer, the Alpinpool invites you to relax on the large lawn.